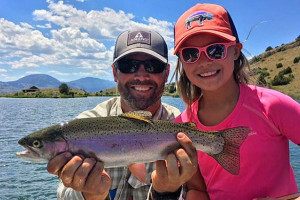 The Fishing Bridge Campground Yellowstone has 325 sites for RVs, and is a great location to make your home base while enjoying all that Yellowstone National Park has to offer. 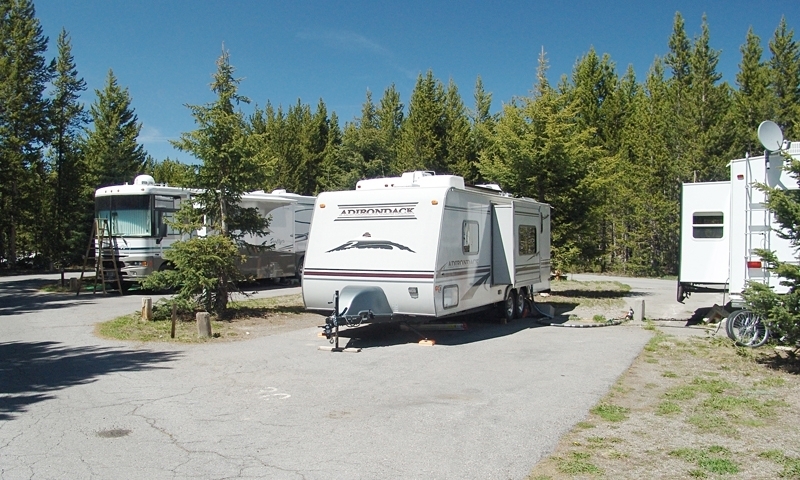 This campground has a handful of sites that offer electricity hook-ups. Book Online. Our family & dog-friendly KOA provides 20 tent spaces, plus 175 RV sites w/50-amp power, multiple cabin styles, store, pizza restaurant, pool privileges and more. 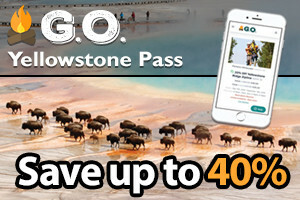 Save RV space and gas cost driving to Yellowstone - rent a touring vehicle in West Yellowstone for your local trips around the region. 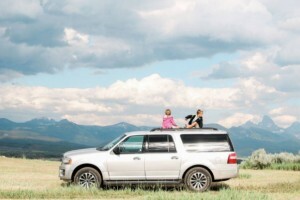 SUVs, cars or vans. See our rates. Campgrounds in the Park are over-crowded. 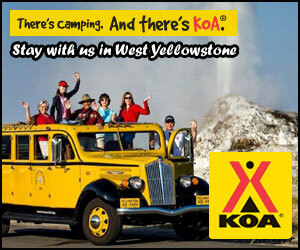 Why not stay on a lake outside West Yellowstone for far less cost and lots more room, plus more amenities. We are on Hebgen Lake. 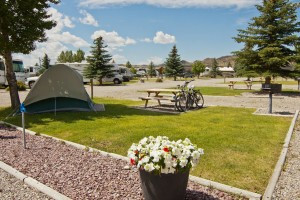 Select from Camp/RV sites, small & large family cabins, indoor pool, mini-golf, bike rentals, fully-stocked store, dining and BBQs, group pavilion and lots more. Fishing Bridge Campground is only open to hard-sided vehicles and may be the perfect choice for your stay in this fabulous national park. Fishing Bridge Campground is located at the northern tip of Yellowstone Lake, about 27 miles from the East Entrance. Fishing Bridge RV Park requires reservations. Call 307-344-7311 or the toll free number: 866-439-7375. Or Book Online. In the Summer of 2012 electricity and utilities were updated to all sites. 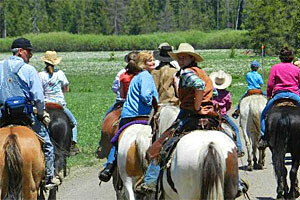 Near Fishing Bridge Campground, you’ll find all sorts of thermal attractions and water sports to keep you busy during your time in Yellowstone. There is a general store, a visitor center and restaurants in the area, with sightseeing tours also available.